I remember the first time I ate at Cafe Du Monde as an adult. I went in, expecting beignets like my momma made them when we lived in Kaplan, but there was no slit in the middle! 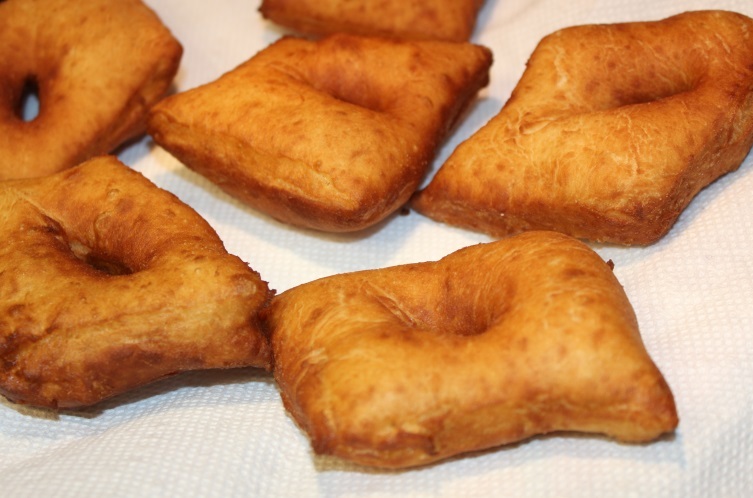 Just big, puffy beignets. They were good, but they weren’t like the ones we had growing up. I asked Mom if she could make some beignets and take photos along the way. 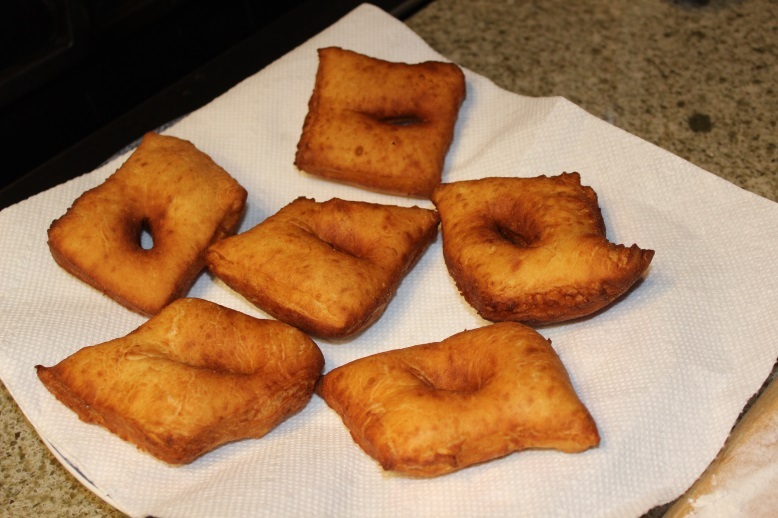 She used Ms. Cathy Touchet‘s beignet recipe and said “this is actually one of the best recipes I have ever used for beignets. Let them know that the making a narrow cut in the middle is optional.” So hey, y’all, making a narrow cut in the middle is optional. 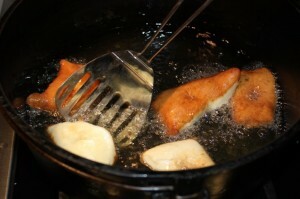 We like to do it because it evens out the frying process, and keeps the middle from coming out raw. First, she started by gathering all her ingredients. Then she creamed together the shortening, sugar, and salt. 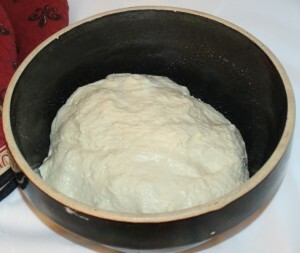 Once they were fully creamed, she added one cup boiling water and one cup milk, then it set aside. In another bowl, she mixed the yeast in 1/4 cup warm water, then added the yeast/water mixture and eggs to the shortening, sugar and salt. 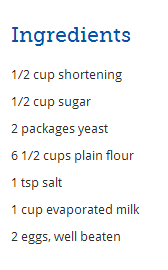 Next, she added 3 1/2 cups flour and beat it in with a spoon. 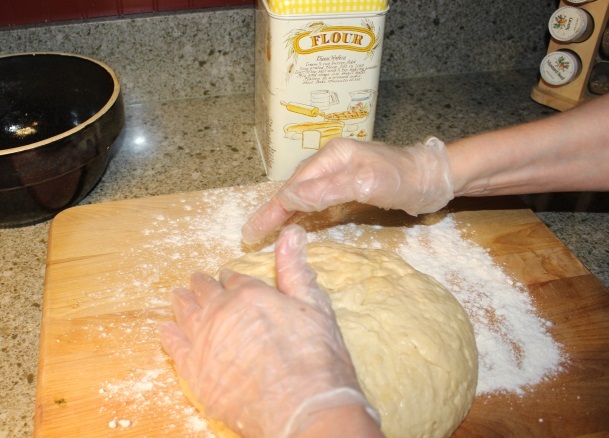 Then, she mixed in another 3 cups of flour. 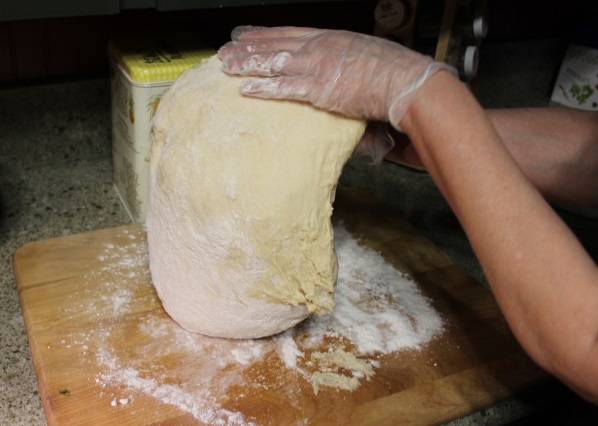 Once the dough was at the desired consistency, she placed it on a floured surface. 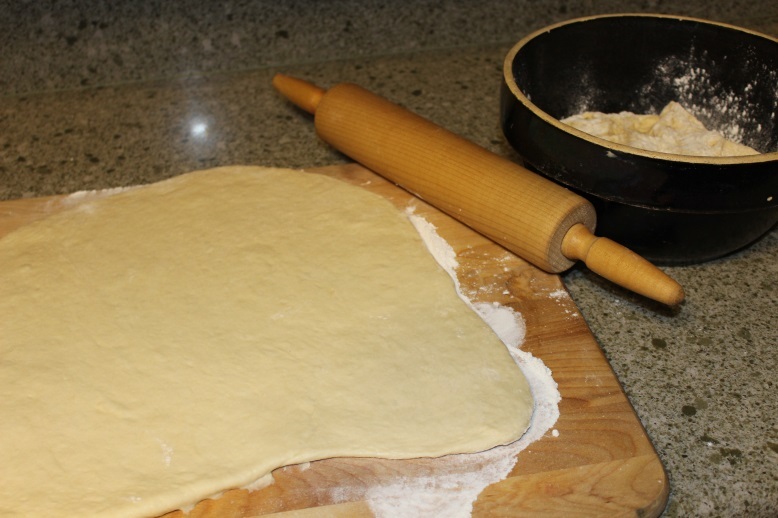 The next step is rolling out the dough. 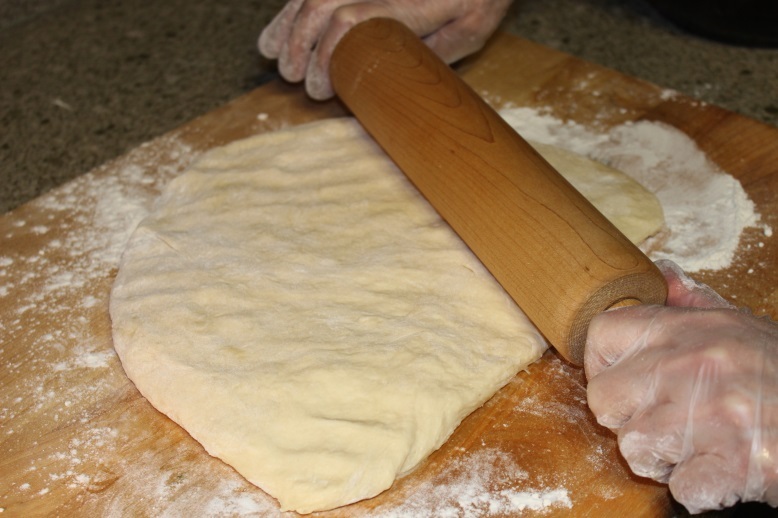 Mom patted the dough flat before using the rolling pen, and commented that the dough made from this recipe rolled out really easily. She noted that additional flour is needed when rolling because the dough is a little sticky. 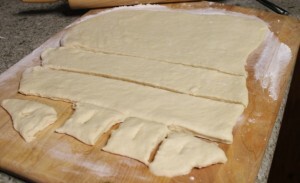 Once the dough was fully rolled, she cut them into 3×3 inch squares, then made a narrow slice in the middle. 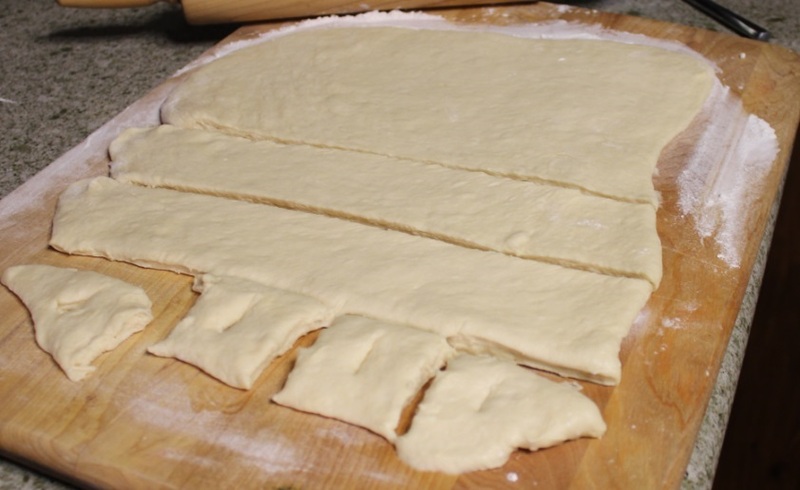 Do not remix the scraps and cut them into squares. Just fry them as is, or your beignets will be tough. Now it’s time to fry up the dough! 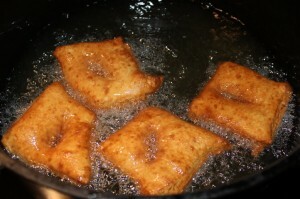 Fry in oil heated to about 360 degrees until the beignet is golden brown on both sides. You’ll know the oil is ready when the dough floats right to the top when it’s dropped into the oil. Remove the beignets and place them onto a paper towel covered plate. The paper towels will help to absorb oil. 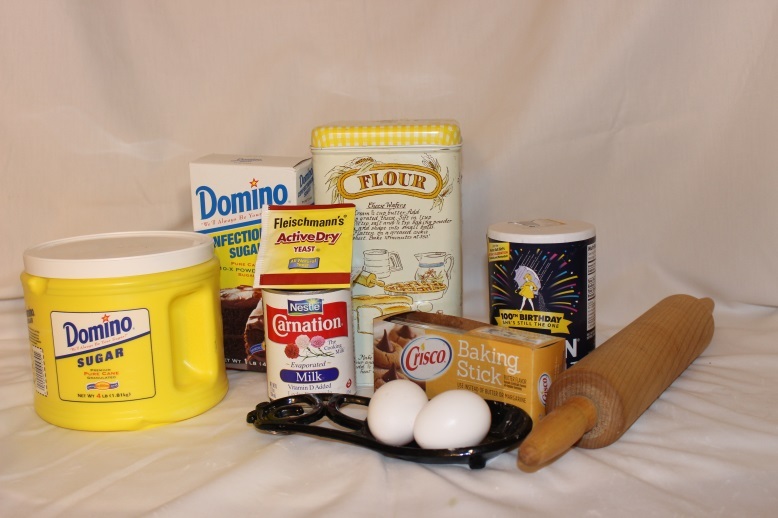 And finally, powder it with the confectioners’ sugar. We use a flour sifter for an even, fluffy coat. 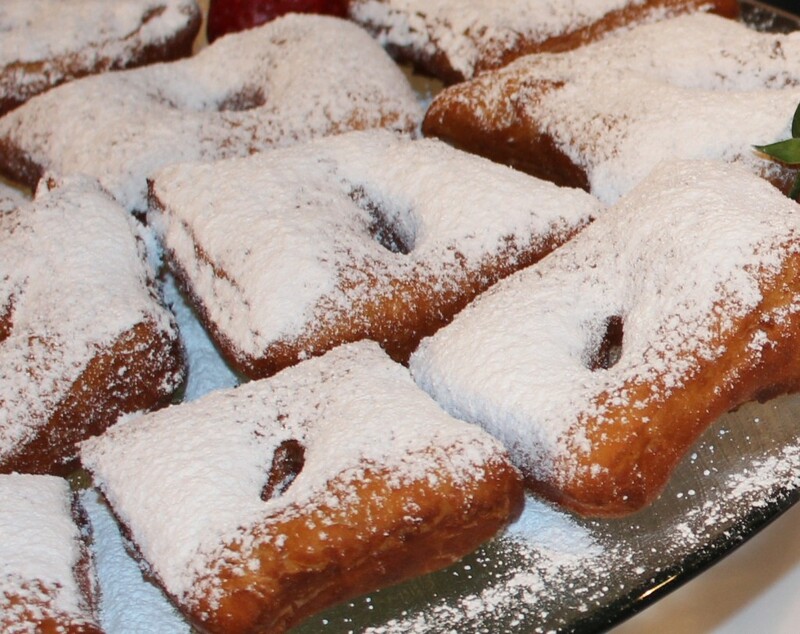 If you don’t have a sifter, you can put the beignets into a big Ziploc bag filled with confectioners’ sugar and shake it.